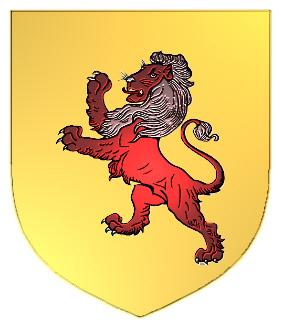 Coat of Arms: A gold shield with a red lion rampant. Motto Translated: Strength and health. Coat of Arms: A black shield with a gold griffin. Spelling variations include: Griffey, Griffy, O'Griffey and others. First found in county Clare where they held a family seat from very ancient times. Some of the first settlers of this name or some of its variants were: Samuel Griffy who arrived in Pennsylvania in 1732. The griffin surname is derived from the Welsh personal names Griffin, Gruffin, or Griffith. These were pet-forms of the Middle Welsh name Gruffudd, which was borne by many Welsh princes. The name came to Ireland in the 12th century with the Anglo-Norman invasion of Strongbow. There was also a native Irish line whose name originally appeared in Gaelic as O Gríobhtha, which is derived from the word "gríobhtha," which means "griffin-like." It is thought that most of the bearers of the Griffith variant of the name are of Welsh ancestry. Coat of Arms: Black with a silver griffin segreant beaked and forelegged or. 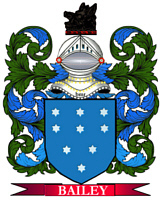 Crest: A black talbot's head erased. Motto Translated: Wishing nothing base.